Are you interested in finding out what “solid gold service” is all about? NM 24K Real Estate Group is a premium real estate service operating in the Albuquerque area market. Our real estate professionals have extensive experience in the area, including nearby cities such as Rio Rancho, Village of Los Ranchos, Corrales, Placitas, the East Mountain area, Bosque Farms, Los Lunas, and many other neighborhoods throughout New Mexico. We take pride in providing clients with top-notch service. Our goal is to properly prepare our clients for the real estate world by providing all the necessary tools and technology needed to be successful in today's fluctuating market. 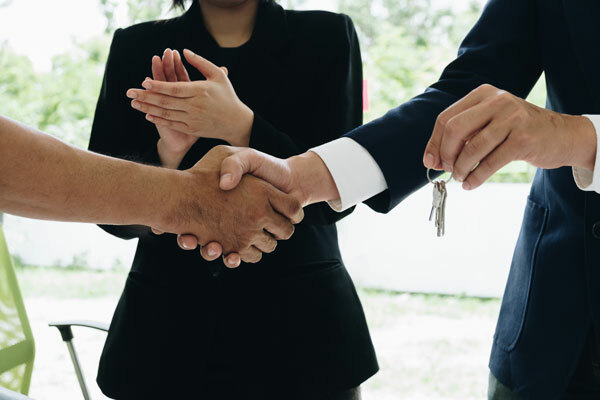 If you are looking to purchase a home or property and choose us to represent you in your real estate transaction, we will work our tirelessly to find you exactly what you are looking for in the price range that works for you. We feature tips for buyers, in addition to our free real estate reports, which feature helpful information for both buyers and sellers operating in the Albuquerque area and throughout New Mexico. Whether you’re interested in a real estate in Albuquerque, or regions surrounding, our listings feature homes in Albuquerque as well as properties from all over the state. If you are looking to sell your home or property, we can help you market and sell your home in the least amount of time and for top market value. If you live in the more remote areas in New Mexico you may be worried about our reach. No matter where you land on the map, our agents are experts in real estate marketing and have developed strong methods towards the process of selling real estate in New Mexico. If you're interested in learning more about the triumphs we've had as a company, check out our Facebook Reviews. You can read client testimonials and learn more about the close-knit relationship we have with our community. Questions? Contact us today, we are always happy to help. You can call our office at 505-292-2424 or learn more about us by visiting our Facebook page.